Today is my friend, Chris Lema’s birthday. Tomorrow is Thanksgiving. It may just be the close proximity of these two days, but I feel inspired to share how grateful I am for Chris and the impact he’s had on my life during this past year. It’s only fitting to share these thoughts in a blog post, since Chris is one of those amazing people who is committed to blogging daily. That kind of dedication is rare these days. It’s inspiring… and it’s annoying. It annoys me because it reminds me just how lazy I am. But at the same time, it challenges me to set higher goals for myself. And I’m encouraged to do so because Chris demonstrates daily that it’s possible to achieve those goals by working hard. Every. Single. Day. Chris’ dedication inspires me. But that’s not what impresses me most about Chris. I first became aware of Chris because of his daily blogging. My friends linked to interesting, helpful articles he’d written. Before long, I had bookmarked his site and visited more regularly. Now, every morning, I receive Chris’ latest article by email. And I learn something from him every day. Do you know how difficult it is to write something of value, something educational, helpful, and inspiring every single day? But it’s not his writing that impresses me most. Ask anyone who has ever sat in the audience during one of Chris’ presentations and they’ll tell you that he’s one of the best public speakers they’ve ever heard. From the opening line, you’ll find yourself captivated, sitting on the edge of your chair, completely engrossed in a story, as if you were a kid again. Chris doesn’t give boring PowerPoint presentations. No, he connects with his audience in a tangible way, leveraging the power of metaphor and story to challenge and inspire. Check out one of his talks for yourself and you’ll see what I mean. 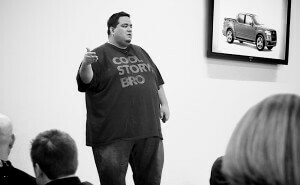 But it’s not Chris’ presentations that have made the biggest impression on me. I reached out to Chris about a year ago to ask if he could spare a minute for a quick chat about my business. I assumed he would be too busy. He wasn’t. Instead, he invited me to a brief Skype chat that turned into an hour-long consulting session. At the end of our chat, I asked how I could pay for his time. The advice he’d given me was incredibly helpful, actionable, and measurable. But it was the much-needed encouragement he gave me during that call that was invaluable. Chris wasn’t afraid to climb into the trenches with me and work with me on my business, and he continues to do so to this day. Since that first call, we’ve had many more conversations, yet he still refuses my repeated attempts to pay him for his time. He could have said no. (He does that a lot.) Instead, he made time for me, and continues to do so. He could have charged me a hefty consulting fee for his time and expertise, and I would have happily paid it right away. Instead, he continues to provide invaluable advice at no charge, choosing instead to invest in me and my business. And now we’re getting to the thing that most impresses me about Chris. 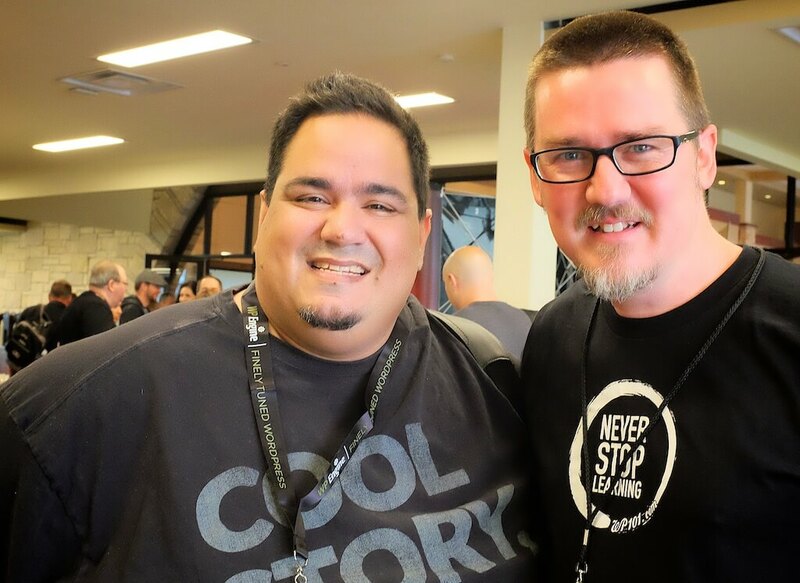 A few months after our first chat, we realized that we would both be attending WordCamp Austin. The year before, I had inadvertently started a fun event informally called, “CigarCamp,” together with a couple of fellow cigar aficionados, Austin Gunter and Pat Ramsey. We had invited a few folks to join us for cigars following the WordCamp Austin after-party, but word quickly spread and it turned into quite an event. Like us, Chris enjoys a nice cigar from time to time. So he suggested we create commemorative, WP101-branded cigars for the much-anticipated return of CigarCamp. We had actually considered doing this, but custom cigar labels can be expensive, to say nothing of the cost of the cigars themselves. 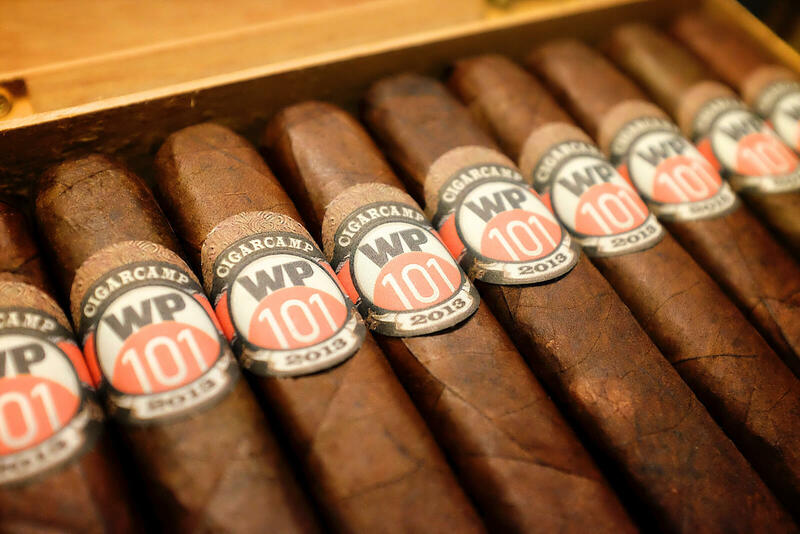 Chris offered to pay for both the cigars and the custom labels, which he insisted would be WP101-branded. The next day, three boxes of premium cigars arrived on my doorstep, ready for WP101 labels. It was easily the most impactful “advertising” we’ve ever done, and it wouldn’t have happened without Chris. The next day, my wife and I took Chris to breakfast at Fonda San Miguel, one of the finest Mexican restaurants in the country. We thought we would finally have the chance to pay Chris back in some small way for all the things he’d done for us. Somehow, while Kay and I were making a return trip to the legendary brunch buffet, Chris had arranged to pay for the meal. We never even saw the check! Humbled by his continued generosity, we vowed to be even more sneaky next time. But for Chris, this wasn’t some sort of power play. Seeing the smile on his face and the way he laughed at our surprised reactions, it became clear that he really enjoys giving. He’s written about the benefits of generosity, and has earned a reputation for always paying for others’ meals, but it’s only when you’ve been the recipient — when you’ve seen the smile across his face — that you come to realize Chris genuinely enjoys the act of giving. A month or so ago, I mentioned to Chris that my wife and I are huge fans of IndyCar racing. We watch every race during the season, and attend local races anytime they come to town. Chris asked if we had ever attended the Indy 500 — the highlight of the IndyCar racing season, billed as The Greatest Spectacle in Racing. I said no, but it was definitely one of those “bucket list” events we would like to attend one day. This coming May, my wife and I will join Chris and a few other friends to attend our first-ever Indy 500. Once again, we find ourselves on the receiving end of the Lema effect. After all, nobody gives without expecting something in return… right? He shared how he and his wife intentionally cultivate a lifestyle that enables them to be generous. How they’re passing this family trait on to their children, teaching them how to give generously. How they forgo other luxuries so they can set aside funds to make dreams happen for others. How they save for months on end to pay for trips, creating memorable “once in a lifetime” experiences for others. And that’s the thing that impresses me the most about Chris. The most important thing that I’ve learned from Chris didn’t come from one of his insightful daily blog posts, or one of his memorable and inspiring presentations (as amazing as they are). No, it’s come from watching him closely over this past year. From our conversations together. From seeing him consistently give to others again and again. I’ve learned that one of the many benefits of giving to others is that they will give you something far more valuable in return… their trust. Their loyalty. The freedom to speak into their lives and their business. In short… influence. So, this is how you’ve influenced me, Chris… you’ve inspired me to do for others what you’ve done for me. To give generously. Make dreams happen. Encourage. Invest. And do it without expecting anything in return. Happy Birthday, Chris, and thank you for modeling generosity to me and many, many others. May it come back to you, your wife, and your children for many years to come. This is an awesome post… Happy Birthday Chris! Great post Shawn, I missed the cigar smoking at Pressnomics but hope you catch up with you both at an event sometime soon! Absolutely, Joel. I look forward to it!